Alex Jones hints that the former Secretary of State, John Kerry is a parasited human host of a Vril lizard (also known as a “Drone”). He mentions “Reptoids”, which is another name for “Reptilians”. As I’ve said before, Vril lizards and drones (hosts of Vril) ARE the “reptilian shape-shifters”. He says that he interviewed Roddy Piper from the movie, “They Live”. Alex Jones only said this because he was giving the viewer or listener, another hint or clue as the movie is about hosts/drones. 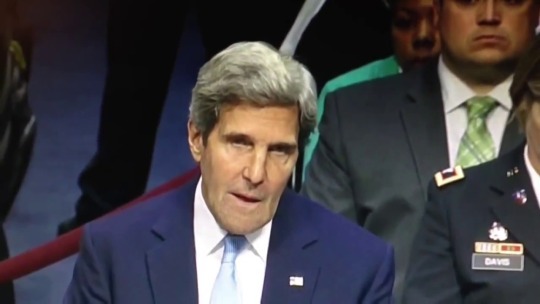 John Kerry even appears to be licking his lips in this video, which is something that hosts or drones like to do and Alex says that’s all he kept doing. Additionally, Alex refers to John as a “Demon”, which is another name for Vril lizards.